The good news is that you will not compete with many other job seekers for this position, unless you want to work at Google, or at one of the other tech giants and legends. The bad news is that all your competitors will have decent technical skills–typically even better than decent. 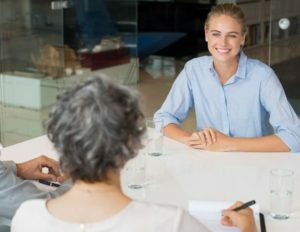 So what will happen in an interview? They will start the interview with a few basic questions, such as why you want to work for them, what motivates you in job, what you have done before, etc. These questions help them to get a good grasp of your personality. They help the hiring managers to understand your strengths, expectations, and dreams. 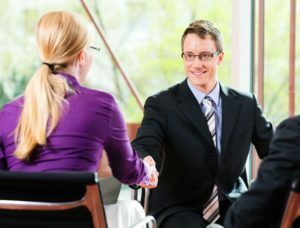 The interview will continue with a few behavioral questions (can be one, three, or even ten questions, and it depends on the hiring managers and their way of leading interviews with job candidates). How would you deal with a conflict with your colleague? Tell us about a time you faced pressure in work. How did you handle the pressure? Describe a time when you faced a difficult situation in your personal life and how it affected you in work. Once they are done with personal and behavioral questions, the hiring managers will progress to technical questions. Your answers help them to understand your readiness for the job, and your real level of technical skills. Remember though that most of the time, they are looking for a complete picture. They will not hire you just becasue you excel in technical skills. 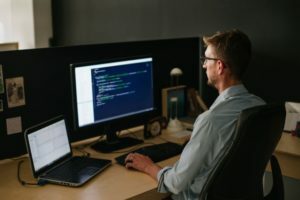 They want to hire a software tester who’d fit well to the team, who’d handle the pressure of the job, and who’d help them to achieve their business goals. Exactly that is the reason why your answers to personal and behavioral questions are equally important. Let’s have a look at a decent list of technical questions now. How will you figure out what to test? In what occasion System Testing is necessary ? Do you know the different stages in SDLC, what’s test groups take part in that? Can you define ERP Testing? 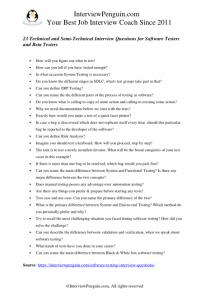 Can you name the the different parts of the process of testing as software? Do you know what is calling to copy of some action and calling to existing some action? Why we need documentation before we start with the tests? Exactly how would you make a test of a quick laser printer? In case a bug is discovered which does not replicate itself every time, should this particular bug be reported to the developer of the software? Can you define Risk Analysis? Imagine you should test a keyboard. How will you proceed, step by step? The task is to test a newly installed elevator. What will be the broad categories of your test cases in this example? If there is more than one bug to be resolved, which bug would you pick first? Can you name the main difference between System and Functional Testing? Is there any major difference between the two concepts? 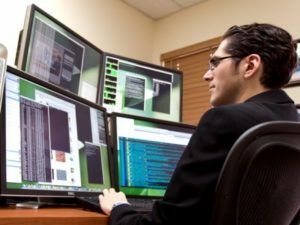 Does manual testing posses any advantage over automation testing? Are there any things you prefer & prepare before starting any tests? Test case and use case. Can you name the primary difference of the two? What is the primary difference between System and End-to-end Testing? Which method do you personally prefer and why? Try to recall the most challenging situation you faced during software testing? How did you solve the challenge? Can you describe the difference between validation and verification, when we speak about software testing. What kinds of tests have you done in your career? Can you name the main difference between Black & White box software testing? Obviously, you won’t succeed in this interview unless you understand your job, unless you can perform software testing. Practical tests are common in the interviews. The recruiting managers may ask you to do some testing on their machine, right in the interview. If you know your job, you should pass this trail. If you do not, they will send you home. Equally important are your answers to personal and behavioral questions, your ability to convince the hiring managers of your motivation, and right attitude to work and to people. Many technicians struggle with answers to these questions. If you are also not sure how you’d answer them, and do not want underestimate this important part of your interview, have a look at our Interview Success Package. Multiple great answers to thirty most common behavioral and personal interview questions, will help you to get rid of stress, and make the right impression with your interview answers. Thank you for reading, we wish you good luck!